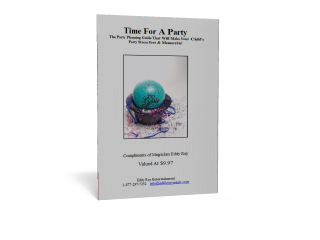 Here you will find all kinds of resources and items that will help make your child’s party memorable and less stressful. You’ll find information on our party planning guide, you’ll see a sample of our activity book and goodie bag, and you’ll see our incredible magic DVD “101 Tricks” that will make your child the next great magician! 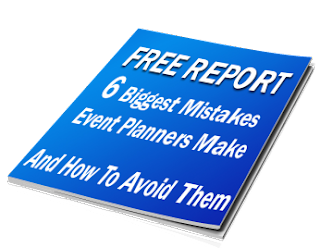 Download This Free Report: 6 Biggest Mistakes When Hiring Entertainment and How To Avoid Them. Book our Silver or Gold party package and receive Eddy Ray’s Party Planning Guide Free! Plus more! A $9.97 Value! Extra Activity Books and Goodie Bags are available at only $3 each! 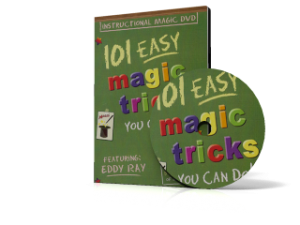 101 Magic Tricks DVD By Eddy Ray Free with Gold Package! Over 5 hours of magic! Join Pennsylvania Magician Eddy Ray on Monday June 14th, 2010 starting at 11:15 am for his magical program, “AquaCaDabra” the magic of water! Eddy will be presenting this program at the Bernville Community Library which is located at 6721 Bernville Road (Bernville PA). He will be kicking off the Summer Reading Season with his assembly program. The program contains magical experiments using water along with fun facts and trivia. 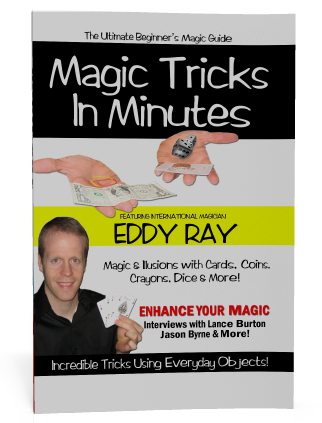 Be sure to purchase a copy of Eddy’s book, “Magic Tricks in Minutes” which will be available for sale after the program. The book retails for $14.95. Important bits of business - Things that might slip your mind when planning that special birthday party! These tips are things you might not even have thought of when gearing up for your child's party. Just in case, have a First Aid Kit handy. With children around, you never know what to expect. As guests arrive take the presents and place them in a separate room. When children see presents they get very excited and want to open them at the wrong time. Keep them out of reach, and out of sight. 6 Powerful Ways I Can Help Make Your Event The Best Ever! Sure, there are a lot of good entertainers and speakers BUT none of them even come close to offering such total entertainment packages. Check it out for yourself! Philadelphia Pennsylvania Magician Eddy Ray Exposes His Magic Secrets! 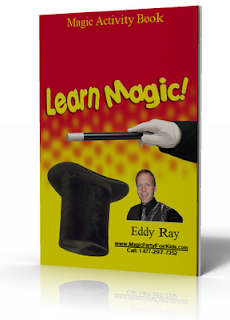 Schedule and book a magic show package today and you'll receive Eddy Ray's "Magic Tricks in Minutes" paperback book! Perfect to give as a gift or keep for yourself. You'll learn some amazing magic tricks using everyday objects. Eddy Ray will also autograph it! To book a show please call 1-877-297-7252 or email us at info@EddyRayMagic.com . Mention this offer! Limited Time Offer and Supply! Pennsylvania Magician | Philadelphia Magician - New Site, It's HERE! 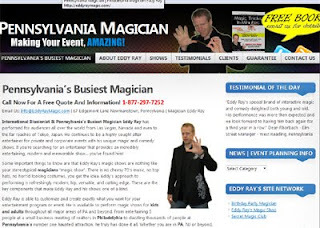 Pennsylvania's Busiest Magician Eddy Ray reveals his new website here! Check it out at: Pennsylvania Magician . We added the squidoo page to help others find out about our entertainment services. Here is an impressive skill and feat performed by Magician Eddy Ray. Does it defy gravity and the laws of physics? Pennsylvania Magician Eddy Ray performs some mind reading. This footage is off of one of his best selling instructional DVDs. 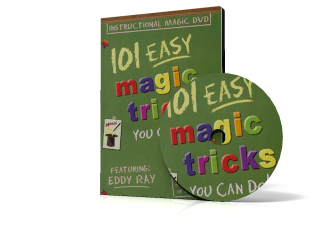 If you haven't joined Eddy Ray's Secret Magic Club yet... what are you waiting for? There are dozens of free tricks and articles to help you fool and entertain your friends. Visit his Secret Magic Club HERE. A new trick has just been added with more to come! If you are searching for things to do for your upcoming child's birthday party.. look no further. 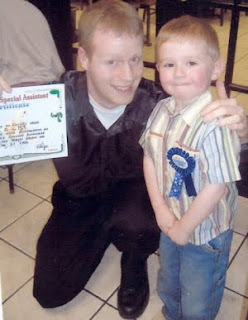 Pennsylvania's #1 Magician, Eddy Ray can customize a FUN and MEMORABLE show that will feature your child as the STAR! Amazing Magic coupled with Audience Involvement, Free Goodie Bags and more make for an unforgettable experience! If you are in the Philadelphia or general Pennsylvania area visit here! Here is a testimonial for Pennsylvania Magician Eddy Ray from the Bernville Area Library, Bernville PA.
Eddy Ray's kids magic activity booklet just got a redesign. 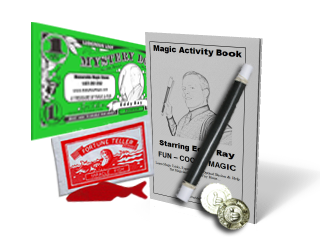 It contains many more magic tricks, optical illusions and other fun stuff. This activity booklet is party of Eddy's Birthday Party Packages and the kids go crazy over them! We guarantee the new edition will get even better reactions! Also, keep a look out for Eddy's line of Learn Magic Books coming soon. They will be available for sale on his magic shop website and after his public magic shows in person. Lancaster PA Magician , Reading, PA Magician , Lebanon, PA Magician and Beyond. Here is a brief listing of Pennsylvania Magician Eddy Ray's Awards & Achievements. Produce and star of his own television magic show called "Magic Town"
For more information on Pennsylvania Magician Eddy Ray's Magic, go here. A lot of clients ask for a working resume. Here is a brief listing for Magician Eddy Ray. * Your Children First Inc.
* Easy Does It Inc.
* Producer and star of his own television magic show called "Magic Town"
Birthday party goodie bags and prizes are a nice way to thank the children for attending the party. It also serves as a tool to keep the children under control. Explain to the children that if they follow the rules you’ve set that they will go home with a goodie bag full of fun toys, candy or whatever you decide to use. If they are not good during the party they won’t get one! This simple strategy is very effective! If you don’t want to take the time or make the expense of putting together you own goodie bags or prizes that’s fine. In fact, that is one of the reasons I offer goodie bags and activity booklets in my birthday party magic show packages. It’s just one less thing you will have to WORRY about! 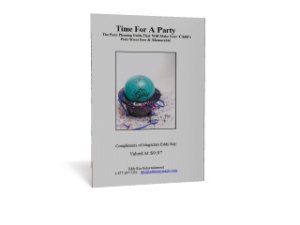 Parties can be stressful and the less you have to do will make things so much EASIER! I’ve been offering my goodie bags for over 10 years and they are always a hit. My goodie bags contain some fun items but also educational ones. This is just one of the things that sets them apart from all the other typical goodie bags. I do not give candy out because I figure the cake at the end of the party will give the children enough sugar! And we all know, too much sugar can make children go crazy. Alot of people inquire about balloon animals or face painting. I have offered those services in the past but find the balloons to be dangerous for younger children. They don’t last long, can break and pop. In turn, this can scare younger children and I rather not have that happen. Face painting is popular but the children have to wait in line to get their faces done. On top of that they have to pick what design they want. This stretches into lots of boring time and the children can get quite restless waiting for their turn. Also, the children usually clean their faces when they get home so it doesn’t last long. If you are wondering what my goodie bags include here is a small list. * Souvenir Jumbo Dollar – A fun jumbo dollar bill with optical illusions and 3 tricks explained on the back! * Fortune Telling Fish – An old but fun little trick where a plastic fish can tell your fortune! 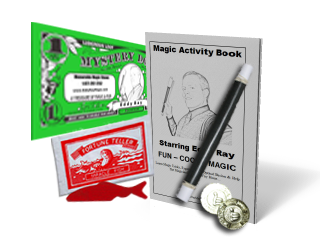 * Activity Booklet – A 10 page booklet containing activities, magic tricks, fun games and more! This gets the children thinking and using their brain. * Magic Wand Certificate – A rolled up paper wand that also is an Official Assistants Certificate. It also included FREE Membership to my Secret Magic Club! Those are the main things within my goodie bags. They are fun, educational and unique. They are something that the kids will use, and it will last. My favorite item is my activity booklet. This booklet will get them reading and having fun at the same time. It’s a WIN WIN! So, there you have it. Some simple tips and suggestions on goodie bags and prizes. Don’t forget, I have a few different birthday party packages. Check out the rest of the website for more information! Click HERE for my party packages. Eddy Ray - Serving Lancaster County, Berks County, Lebanon County and beyond. A Simple Party Tip Discussing Who To Invite.. The average child’s party consists of 8 – 15 children and 5 – 10 adults. I realize your child might plead to you that you invite all of his/her friends. Don’t give in. Most people truly only have between 5-10 close friends. These are friends that your child plays with, and spends time with the most. These are the children you should invite. If too many children are invited this increases the chances of an argument, or scuffle. Again, the easiest way to avoid those problems is to only invite close friends, and close family. Sit down with your child and make a list of possible people to invite. Keep it limited. The list should include full names and phone numbers. It's more fun having a party with people you are close to than having dozens and dozens of people over. It also makes things less stressful. This is just one simple tip to think about when planning a birthday party for your child. 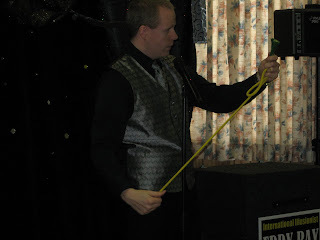 Pennsylvania Magician Eddy Ray is available for your child's party or other events. He serves the Lancaster PA, Reading PA, Philadelphia Pa and surrounding areas. Call 1-877-297-7252 or visit Lancaster PA's, Reading PA's, Philadelphia PA's Top Magician Here. Pennsylvania based magician, Eddy Ray, was awarded the coveted Certified Magic Professional (CMP) award in a ceremony held in Atlanta, GA. The CMP designation is awarded for excellence in the art of magic. There are approximately 40 other magicians in the world who have received this honor. “I’m thrilled to be included in this elite group of entertainers. 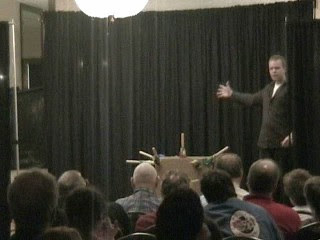 I love performing magic, entertaining people, and making them laugh. It has been my life’s ambition to be able to make a living performing magic. I’m very fortunate and honored,” says Eddy. Back in 2002 Eddy Ray received professional honors as an up and coming star for his magic performances in Las Vegas, Nevada at the World Magic Seminar. 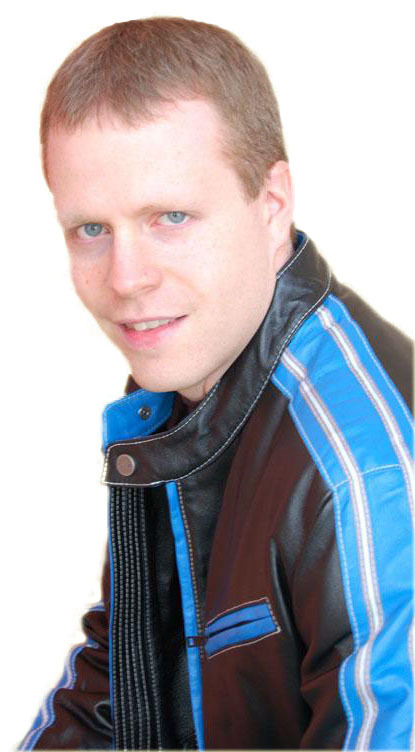 Eddy Ray has been performing magic professionally for over 10 years. He is well known for his energetic and modern magic act that has captivated audiences all over the nation and even Japan. Eddy has even predicted news headlines and sports scores live on radio. For more information on this article or Magician Eddy Ray please contact us at 1-877-297-7252.